Description : Made of 65 percent polyester, 35 percent cotton poplin with extra stitching at seams and buttons, and flat-felled seam finishing. 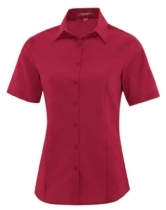 Features dyed-to-match buttons, two button adjustable cuffs, spread collar, darts and princess seams. 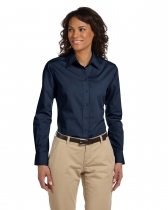 Description : Ladies shirt features; 5.4 Oz., 70/30 polyester/cotton twill button down collar and Easy care. 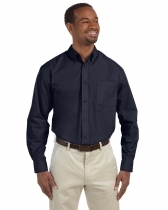 Description : Adult shirt features; 5.4-Oz., 70/30 polyester/cotton twill button down collar and Easy care. 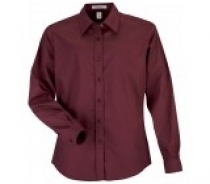 Description : 7.5 Oz., 55/45 cotton/polyester. Features slightly contoured side seams. 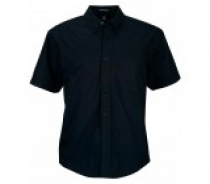 Description : 7.5 Oz., 55/45 cotton/polyester. 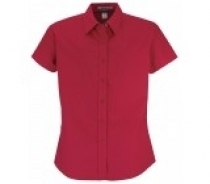 Features slightly contoured side seams and easy care fabric. 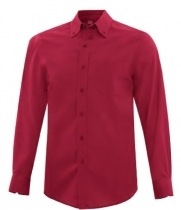 Description : 7.5 Oz., 55/45 cotton/polyester. 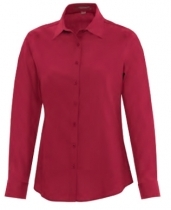 Features a open collar with slightly contoured side seams. Easy care fabric. 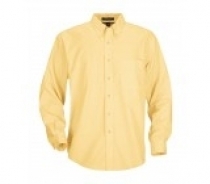 Description : 7.5 Oz., 55/45 cotton/polyester. 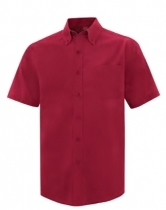 Features a left chest pocket and button down collar and sizes up to 6XL in some colours. 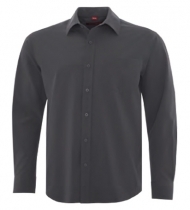 Description : Adult shirt features; 6.2 Oz., 92/8 polyester/spandex stretch woven 5.4 Oz., 100 percent polyester fine mesh underarm ventilation panels. Easy care, stretch, breathable and air mesh panel. 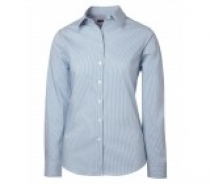 Description : Ladies striped shirt features; 5.6 Oz, 67/30/3 cotton/polyester/spandex stretch poplin. Narrow mini stripe pattern, adjustable notched cuffs. 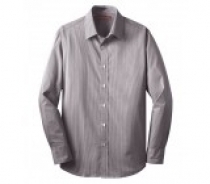 Description : Adult striped shirt features; 5.6 Oz, 67/30/3 cotton/polyester/spandex stretch poplin. Narrow mini stripe pattern, adjustable notched cuffs, side back yoke pleats with back darts, & button through sleeve placket with double pleat.